lonely. How will he ever make it his home? Clancy thought he had lost forever. `It's too big,' whispers Clancy. Books were hugely important to Libby Gleeson as a child, and have remained the focus of her adult life. 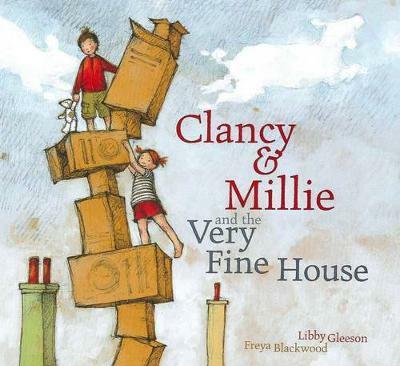 Libby's fiction and picture books have won multiple awards, including CBCA short-listings and wins, State Premier's Literary Awards, the Bologna Ragazzi Award in 2000, and the Prime Minister's Award in 2013. For her services to children's literature, Libby has been honoured with the Lady Cutler Award (1997), Member of the Order of Australia (2007), the Dromkeen Medal (2011) and the Nan Chauncy Award (2015). Freya Blackwood was born in Edinburgh and grew up in Orange in NSW, Australia where she now lives with her daughter Ivy. After graduating from UTS in Visual Communications, Freya worked in the film industry as a production assistant, runner and effects technician. She began illustrating picture books in 2002 and has since been shortlisted for, and won many prestigious awards, including the Kate Greenaway Medal in 2010. Award-winning titles include Two Summers with John Heffernan (2004 CBCA Chrichton Award winner) and Amy & Louis with Libby Gleeson (2007 CBCA Picture Book of the Year for Younger Readers) with Scholastic Press; Little Hare titles Maudie and Bear with the late Jan Ormerod (2011 CBCA Early Childhood Book of the Year); Look, A Book! with Libby Gleeson (2012 CBCA Picture Book of the Year); Go To Sleep Jessie with Libby Gleeson (2015 CBCA Early Childhood Book of the Year) and My Two Blankets with Irena Kobald (2015 CBCA Picture Book of the Year); and from Allen & Unwin The Cleo Stories: The Necklace and The Present with Libby Gleeson (CBCA Winner Book of the Year: Younger Readers). Freya works and creates in her backyard studio.